Anyway, the birthday girl took a nap in the afternoon and then we had dinner (pasta, one of her favorites) and then headed to the park. We invited a few families to the park to celebrate her birthday with us. It was really fun! The kids played on the playground and Stella got the swing (one of her favorite things to do). Stella was a little unsure about her first cake experience, but after she got a few tastes in with her hands, she dove in face first and started eating! It was hilarious. I eventually just sat her down on the grass and let her have at it. Birthday Girl got to bed late and happy! We sure love this little thing! Opening her presents at home. 18 posts to read! Are you trying to overwhelm me? It might take me a while to get through these... Love Stella's birthday cake! You look cute too! Did you color your hair? Looking at your blog makes me miss you too much! I can't believe Stella is one! She is so cute. Love your cake! Love your outfit, you look so great! And I'm loving the highlights! Ava saw these pictures and said, "What she can crawl and sit now?! Wow!" Happy Birthday Stella! Marc and I were married in 2005. And added Jackson to our family one year later. A few years further down the road we added Bennett. Life is good for us. Marc is in Dental School. 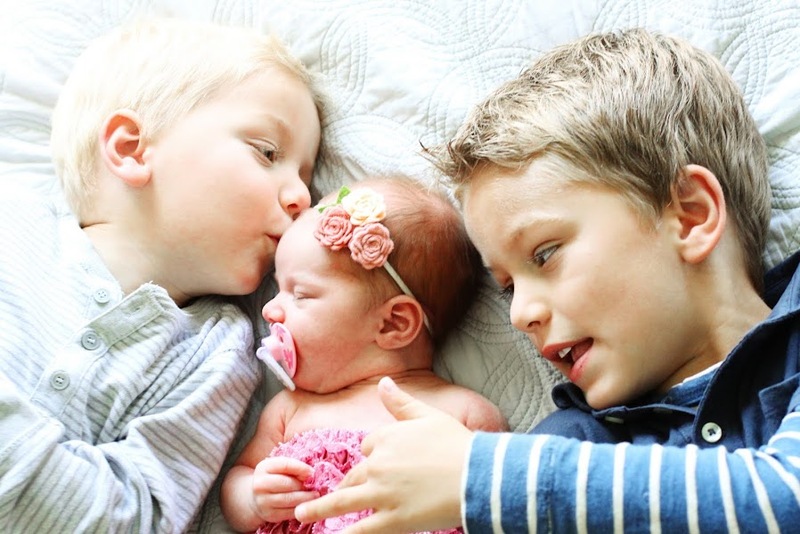 I am a stay at home mom to Jackson and Bennett...and love it! 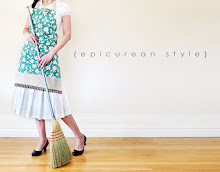 I also started a small business venture, with my sister-in-law, called Epicurean Style. I design and make aprons...feel free to check out the link below. Jackson is at such a fun stage. I feel like everything that comes out of his mouth cracks me up, it may not have the same impact on you, but I need somewhere to keep track of some of the funny things that he says...so here is the place. Enjoy. ***Mom: "Hey Jackson I bet Dad could fix that for you." Jackson: "No, he's not Handy Manny." 3 Blue Eyed Boys and a Brown Eyed Girl.